Please note: I have a new address as of November 2018. SPOILER ALERT I sometimes post photos of ongoing swaps on flickr and my blog. Don't look if you'd rather be surprised! I sometimes weigh my swaps at home and use postage stamps rather than taking them to the PO. I use the USPS site to calculate postage and make every aim to get it right, but if for some reason my swap comes to you with postage owed, please don't be afraid to let me know and I'll make it right. Thank you! For swappers interested in Gelli printing and other types of monoprinting, check out my group The Print Shop. It's a small yet active group with at least one swap running pretty much at all times, and a forum with tips, techniques, a monthly WTA, and links to monoprinting info and inspiration. I am a mom, artist, cook, traveler, music-lover, devourer of books and one who enjoys the little things in life. I've been obsessed with crafting/making art since I was a teenager, and generally try to spend time at my art desk every single day. Creating is my passion and acts as therapy for me, whether it's paper crafts, mail art, playing with polymer clay, mixed media, crochet, sewing, or cooking. I'm happiest when I have a project going, and I love to stay busy. I refuse to accept boredom as part of my life! Even though I'm "settled" now, I'm a traveler at heart. Inspiring places I've been: New Zealand, London, San Francisco, Alaska, Hawaii, the American Southwest. Places I'd love to go: New Orleans, Mexico, Morocco, India, Thailand, Peru, Italy. Dream road trip: drive the ALCAN Highway with my dad, and on life's wishlist: see the Northern Lights. I am very open-minded and am not easily offended. Swear words and dirty jokes welcome, haha. Note: I do reuse packaging - there's enough waste filling our landfills! FYI: Swapping and making arts/crafts means a lot to me, and I take pride in what I make and send. Know that I will always give my best effort and put thought and heart into what I make for you. If you have not received from me in a reasonable amount of time, PLEASE let me know and I will make it right! I only mark a swap sent after dropping it in the mail box, or I return from the PO after sending. If you'll be late sending your swap to me, please let me know. As long as we have good communication, it's all gravy. However, please don't lie to me, or take advantage of my understanding attitude. Then it's no longer "gravy". Hosting: A note for any and all swappers who join a swap I host - if you ever encounter any problems with your partners, in either sending to you and/or rating, please don't hesitate to contact me. I'm more than happy to help to resolve an issue to the best of my ability. I always check profiles before assigning partners, but in the event that you are flaked on, I will be happy to angel, or, if I just can't for some reason, I will do my best to find you an angel. I love all kinds of arts and crafts - mixed media, collage, crochet, handmade books, polymer clay, sewing, altered books, ATC's, rubber stamping, handcrafted jewelry, photography, mail art, stamp carving, assemblages, art journaling,.. I'm probably forgetting 2 or 10 things, but you get the idea. I love bright, bold colors. My favorite colors are turquoise and teal blues, chartreuse, and light orange, but I really like all colors. Lately, I've been very much into neon and tropical color combinations. As you might guess, I'd love to receive items or artwork with blue monkeys on them, especially blue sock monkeys. A few months ago I became the proud owner of a 5 year old Scottish Terrier named Fergie. I am absolutely in love! I would be thrilled to receive anything to do with Scotties (because I'm apparently now one of those crazy doggie parents, haha). My preferences often veer towards the old, vintage and quirky, or unusual. I also love the gritty look of lots of layers, textures and ink splatter. Mixed media and collage are where I really feel at home. I gravitate towards the more detailed, grungy and "artsy" than the cutesy, girly or folksy. I can play on both sides, though, and also enjoy bright colors and some cute things, like woodland creatures and trees/mushrooms/plants. I love treasure hunting at flea markets, junk sales, garage sales and thrift stores. I love receiving handmade stuff! Favorite tastes: sour candy, spicy stuff, dark and milk chocolate, chocolate with additions (like nuts, fruit, crispy rice, etc. 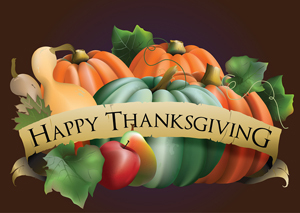 ), all citrus!, coffee (dislike flavored coffees), black or spiced teas, Thai food, cranberry, lime (did I mention citrus?). I love to cook and love all foods, especially ethnic foods - mostly asian. Always open to new recipes! Oh, and I also love to garden - flowers and vegetables. I am swapping more PCs now than when I first joined, so thought I'd add a little section of my likes. I like both storebought and quality handmade PCs. I love PCs of the ocean, forests, mountains, lakes, the desert, architecture... I prefer beautiful landscapes and photographs to touristy-type PCs. I also love artsy, vintage, unusual and black and white PCs. I'm not overly picky, really, just wanted to give my partners some direction. *Books about the military, history, medieval times, science fiction (all appropriate for his age). He's read and loved The Divergent series, and tends to lean towards sci/fi, futuristic, and/or dystopian literature. *He collects coins from foreign countries and if anyone wants to do a private swap for these, please contact me. Pilgrim at Tinker Creek (and everything else she's written), Annie Dillard. American Gods, Neil Gaman. Imajica; The Great and Secret Show; Everville, Clive Barker. The Essential Rumi, Coleman Barks. The Air-Conditioned Nightmare; Stand Still Like the Hummingbird, Henry Miller. Barbara Kingsolver. Anne Sexton. Joseph Campbell. Richard Brautigan. Nick Bantock. Roger Zelazny. Tom Robbins. John D. MacDonald. Gillian Welch. The Black Keys. Florence + The Machine. Alabama Shakes. Taj Mahal. The Killers. Radiohead. Tool. A Perfect Circle. Neko Case. Johnny Cash. The Beatles. The Carter Family. Eddie Vedder. Sarah McClachlin. Tori. Natalie Merchant. The White Stripes. Kings of Leon. Neil Young. Jack Johnson. Pearl Jam. Tracy Chapman. Tenacious D. Pink Floyd. Death Cab for Cutie. Modest Mouse. Cowboy Junkies. Dead Can Dance. MGMT. Cat Power. Wilco. Tom Petty. Sinead O'Connor. Iron & Wine. Fleetwood Mac. Janis Joplin. Nickel Creek. PJ Harvey. Adele. Ray LaMontagne. There's tons - basically, I have varied tastes in music. Don't like modern country, metal where all you hear is screaming, or teen pop. 30 Rock. Modern Family. No Reservations. NOVA. Independent Lens. Squidbillies. Adult Swim. Chappelle's Show. The Daily Show. The Colbert Report. Firefly. MASH. Pushing Daisies. Discovery Channel. History Channel. Kids in the Hall. Northern Exposure. An Idiot Abroad. Golden Girls. It's Always Sunny In Philadelphia. Arrested Development. The IT Crowd. NEW FAVORITES: Doctor Who. Trailer Park Boys. Archer. Vera. The Fall. And the British show Sherlock is my new favorite thing! If you're not watching it, you should be! Signs. 300. Nacho Libre. Eternal Sunshine of the Spotless Mind. Waitress. Ghostbusters. Cold Mountain. Sherlock Holmes. Labyrinth. Fight Club. Choke. The Invention of Lying. Vibes. The Royal Tenenbaums. Indiocracy. Box of Moonlight. The Piano. The Shipping News. American Beauty. Fantastic Mr. Fox. Monty Python and the Holy Grail. Life of Brian. Indiana Jones. Waking Life. North By Northwest. Pulp Fiction. Inglorious Basterds. I Heart Huckabees. Adaptation. The number one reason I joined Swap-bot was to swap handmade items. I do enjoy swapping storebought stuff, too, but this is second to my love of creating and receiving handmade. I do not require extras to rate a heart. I don't mind extras, and I sometimes include them myself if I see something on your profile I have/can make that I think you would really like, but I would rather you put the extra effort into your creation than send extras. I will not rate down for extras, of course, but know that they aren't necessary. 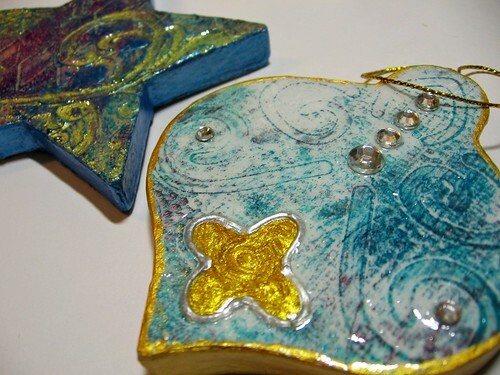 Christmas ornaments created using paper mache bases and Gelli prints (monoprints). Made for a swap in The Print Shop group. Inspiration card (front and back) made for a swap in the Inspiration Station group. 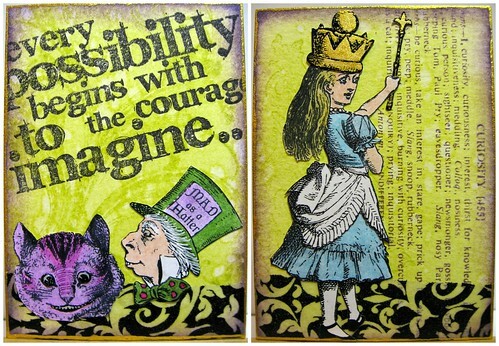 ATCs made for a swap in The Print Shop group. 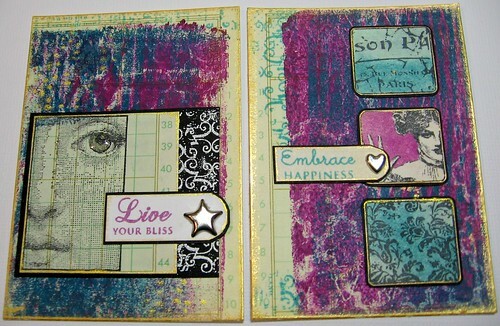 ATCs using my own Gelli prints. For a swap in The Print Shop group. 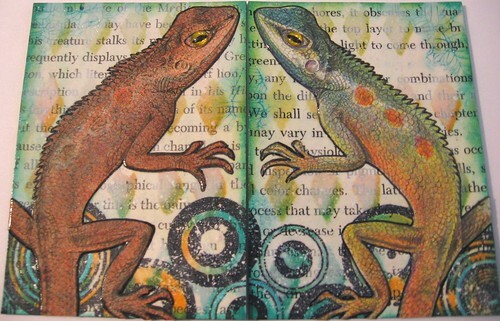 Lizard Diptych ATCs made for the Mystery Supply Swap in The Paper Dragon group. Eggshell Mosaic Magnet made for Eggshell Mosaic Technique swap in The Paper Dragon group. @wickedred An amazing swapper who sent me an over the top package in celebration of her having 200 hearts. She included things from 2 of my favorite artists, including a signed copy of Dusty Diablos by Michael deMeng and postcards by Nick Bantock (!). The awesomeness didn't stop there, and it's a package of goodies I won't soon forget, full of inspiration! Thank you so very much! @spotteddogs She has offered some really fantastic RAKs in the PFs, and I have been the happy recipient of a few. I am humbled by her generosity. Kids Handmade PC Swap - Newbie Friendly!! Not rated by one partner: @Beckaroo ; also flaked on by one of my partners: @HarrietAnne , now partially suspended. The host of this swap, @irishfaerie9 , has had her account deleted. 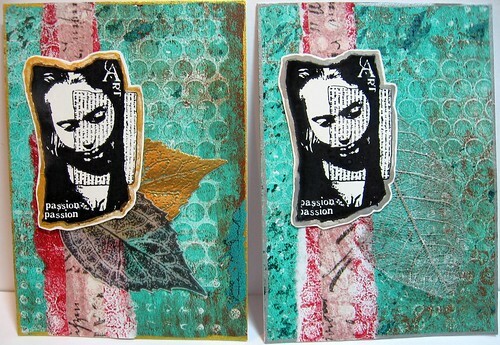 I was not rated for the Fragmented Embellishments 2nd Round swap by my partner @paperfairys . She has deleted her account, unfortunately. Response: Yay! I am so happy you like it! Comment: Thank you, I like the stamps on your evelope very much too !! Comment: Thank you for the beautiful card, Jessica! It's always a pleasure to receive mail from you :) I love the layers, colors, and especially the bit of gold <3 The stamped images on the envelope are awesome, and I'll be cutting them out to use later! Comment: I recognized the citra-solve technique right away - great fun! I’ve never tried it, but love how it looks. Thank you~ Hope you had a great, creative snow-day! Response: Yay! Thanks for the heart! Comment: Well once again your swap package blew me away. The pretty box and beautiful woodland card are both lovely. But your ornaments are spectacular. I love the round sunflower -- you achieved an amazing amount of texture detail with your stencil. And it arrived in perfect condition. The purple crackle light bulb is amazing with its depth of color and consistency of crackle texture. Both are up in my living room and will probably stay up all year lol. This is becoming one of my favorite holiday traditions. Thank you thank you thank you. Big hugs! Comment: Oh those gelli shapes look like tons of fun to play with!! Great PC - thank you! Comment: Wow! What a lovely ATC! I'll have to look into Dina Wakley stamps - that is so nice. I love your background too - and color choices. Gorgeous! Thank you for sending it to me! 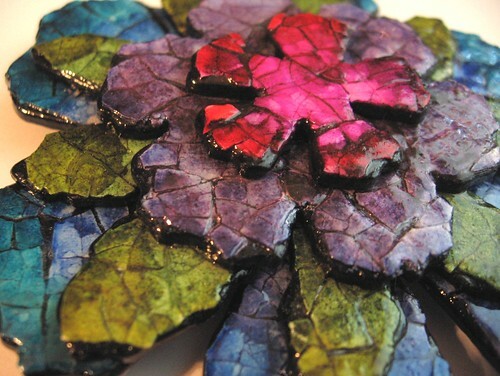 Comment: Whoa...what a super cool flower magnet! I love the technique you used! I put it right over my art desk on the metal crane lamp so I can see it every day! Thank you! Response: Yay! So glad you like it. :) Thanks for the heart! Response: Thank you for your kind words, hun! Good luck on going back to work! Comment: Hi again :-) . . . I love your postcard, it's so colorful and has interesting patterns. What did you use to make the paint so shiny? Is it the paint, or is it something you put on over the paint? As you can tell, I don't know very much about multi/mixed media art. I'm learning some things, but it's not what I usually do. It looks to me like you know a lot and have probably been making multi-layered art for a long time. I really love the layers you achieved. Response: I am so glad you liked it! The shine comes from a coat of Triple Thick sealer I sprayed on at the end. Love that stuff! Layers are so necessary in the things I create! You can achieve some wonderful effects via layers. Thanks for joining my swap, and for the heart! Comment: Hi Jessica :-) . . . Thanks for sending your gorgeous ATC. The 3D effect looks really good on this card. Oh yeah, I really love the monkey stamping on the envelope! Very cool! Response: I am so happy you liked it, and how awesome the postage wasn't cancelled! :D Thank you for the heart, sweetie. Great to swap with you again! Comment: Loved your atc, thank you very much! Comment: Thank you for the lovely PC of 'At the Seaside'. Please read the PM I sent on March 25 and let me know what you want to do. Thanks! Hiya, just stopped by to say hope all is good in your hood. I'm so glad you liked your cross-stitched ornament. I made a bunch of them back in the day before my fingers went gimpy. Doling out my last few remaining ones to very special people. :) Here's wishing you a fabulous 2017! !